Send "Day in the Life" picture of your school library to Courtney any day in April to help celebrate School Library Month on our social media pages. Full Article--School Librarian, Where Art Thou? Why Do We Need Future Ready Librarians? Full Article--Why Do We Need Future Ready Librarians? Check out over 60 videos curated by the ESU Coordinating Council on Autism. Just a little black paper and some sticky notes can make for an easy exit ticket. "What Stuck with You Today?" City Readers is the New York Society Library’s database of historic records, books, and readers. The Library’s online visualization tools support the discovery and analysis of more than 100,000 biographic, bibliographic, and transaction data derived from digitized content from the Library’s archives. 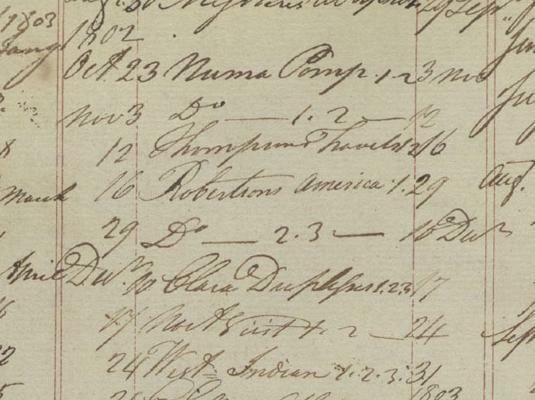 Circulation records from 1789 to 1805, when the Library shared Federal Hall with the first American Congress, have been fully digitized and transcribed, and the data are now available for free through City Readers. Many of America’s founders borrowed the Library’s books, and their borrowing histories show a wide range of interests: they all checked out books on law, history, geography, travel, and even fiction. On April 7, 1790, 14 years before their famous duel, Alexander Hamilton and Aaron Burr both visited the New York Society Library: Burr was reading Voltaire; Hamilton was reading Goethe. Students can browse the histories of the founders to find out more. Podcasts have steadily increased in popularity over the last handful of years. According to Edison Research, in 2017, 40 percent of Americans over the age of 12 listened to a podcast and nearly 25 percent had listened to one in the month prior to the survey. Even more eye-opening: 42 million Americans listen to a podcast weekly. If you’re new to the world of podcasts or have found them to be an excellent addition to your life and are seeking out more, here are a few young adult literature–focused selections that will not only help up your librarian game but also entertain and expand your reading world.